The Leaf Hedgehog -or Hedge to his friends- was 5 foot tall and almost twice as long. With purpose he stepped into the busy road. Cars and trucks swerved or halted for a hedge that should not be there. The Leaf Hedgehog kept walking slowly, steady but confident. When the other side was reached he stopped and from his foliage scores of tiny hedgehogs emerged. They walked on into the countryside safe and happy. 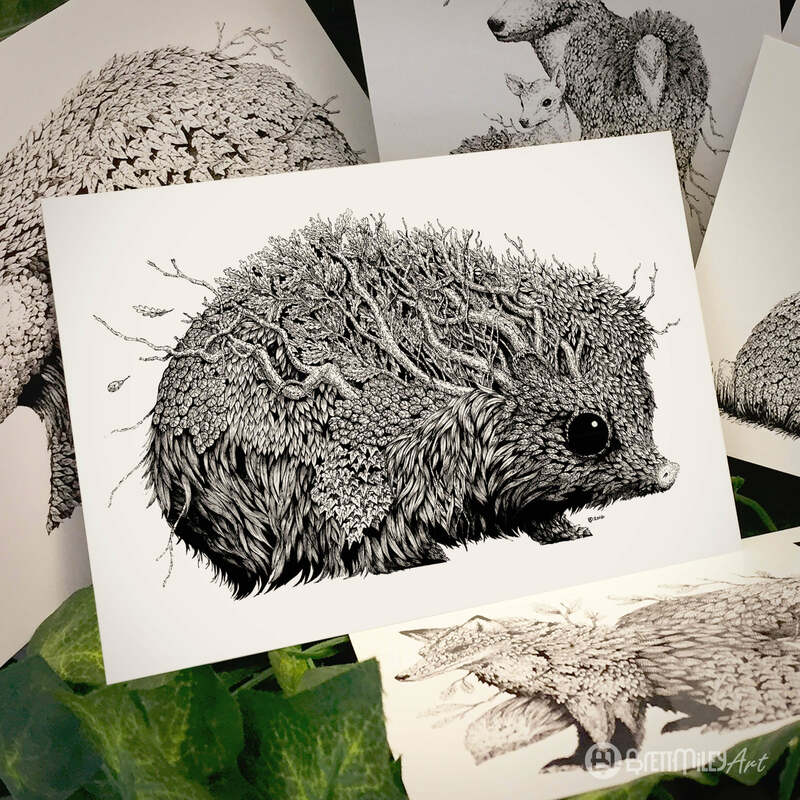 Postcard Reproduction of the ink on Bristol Board paper Leaf Hedgehog by Brett Miley.